Welcome to the z390 Mainframe Assembler Coding Contest. The primary objective of this contest is to have some fun and learn more about mainframe assembler. This contest is open to anyone interested in learning about mainframe assembler and/or sharing their knowledge about mainframe assembler. You can submit new problems or solutions to problems already posted that you think are better. The top ranked solutions are posted on this site along with the author's name. Below you will find links to all the coding problems posted to date, plus the top ranked solutions submitted with source code and generated output. Solutions can be submitted using a shared macro ZMFACC which is portable across z390, Hercules MVS 3.8, z/OS, z/VM CMS, and VSE. More. The z390 open source Portable Mainframe Assembler project encourages all developers working with IBM mainframe systems to learn High Level mainframe assembler (HLASM for short). 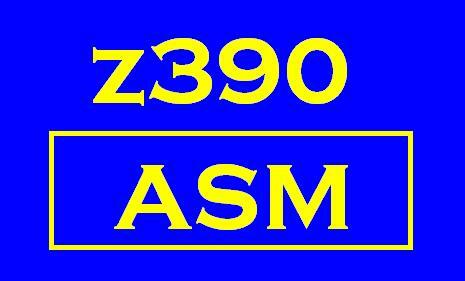 To that end the z390 project is sponsoring the z390 Mainframe Assembler Coding Contest open to everyone. For a limited time volunteers are being solicited to serve as members of a 3 member judges panel to rank submitted solutions The top three ranked solutions for each posted problem will be listed here along with the name of the programmer and their institution of choice. Rankings will be based on the specific requirements such as speed, storage, or best practices. New problems and new rankings will be updated as soon as judges have reviewed current pending submittals. Hope you enjoy the contest! All questions and suggestions welcome. Swap two 20 byte fields optimized for speed. Swap general purpose register 0 and 1 without using any other register or storage areas. Convert memory bytes to hex display bytes. Sort array of full word integers using fastest execution method. P4RJ1.MLC/LOG by Mats Broberg, Roland Johansson, and Seb Sweden - improved version of Quicksort using 685 instructions. P4AN1.MLC/LOG by Alfred Nykolyn -shell sort sorts 20 elements using 1532 instr. P4DSH1.MLC/LOG by Don Higgins University of South Florida - bubble sort using 2610 instr. Convert display hex characters to binary bytes. Given a byte, create 8 EBCDIC zero and one characters displaying the individual bits in the byte. Calculate and display as many significant digits of PI as possible using extended floating point instructions and display the result in decimal scientific notation using the CTD and SNAP macro services. Convert DC PL8'-1234567.90" to DC C" ($1,234,567.90)'. Code instructions required to convert any unsigned 128 bit integer value in even/odd 64 bit general purpose register pair generated by MLG or MLGR to EBCDIC decimal display character format using as few basic instructions as possible and no library services such as z390 CTD. Note 2**127 has 39 significant digits, extended floating point only supports 34 significant digits, and packed decimal only supports 31 significant digits. Please submit solutions using the ZMFACC macro for portability across platforms. Code two routines: one to add 8 byte opcode mnemonic key and table entry address to a hash table and another routine to retrieve the address of opcode table entry given the 8 byte mnemonic as key. To test the efficiency of the two routines a table of the 856 z390 mnemonic machine instructions and their hex opcodes is provided in a copybook here, and a model program using the ZMFACC macro to build the table and then fetch all the opcodes 100 times is provided here. You can run the model program without change to verify it works in your environment before adding your code. It executes 689,307 instructions in the z390 environment doing nothing in the add routine and simply returning the input key address via LR in the find routine. See the resulting log file here. The fastest 3 solutions supporting random access will be posted. P11DW1.MLC/LOG by David Wilkinson using TR to convert first byte to 0-26 and hash table size of 35,393. 952,200 total instructions. P11WR1.MLC/LOG by Werner Rams using linked list to handle duplicates requiring approximately only 12 * total entries for hash tables. 1876139 total instr. P11DSH1.MLC/LOG by Don Higgins using P11FIND1.MLC/LOG to find hash table with no dup keys (table size found 48011 which has density of < 2% for 856 given keys). 1041979 total instr. P11DSH2.MLC/LOG by Don Higgins using P11FIND2.MLC/LOG to find hash table with max of 2 duplicate key searches per entry (table size found 3473 which has density of 25% for 856 given keys). This solution saves 180k storage for 10% increase in instruction count.). 1181713 total instr. Calculate the mean and standard deviation for a set of 500000 response times using a precision of .001. Assume each value may not exceed 1000 seconds- by Tony Matharu. P12DSH3.MLC/LOG by Don Higgins using DFP to calc standard. deviation for (1, 2, 3, 6) = 1,87 Note this solution uses new z390 proto-type millicode for missing SQXTR instruction. Given a decimal number with 2 decimal places representing the total cost of one or more items and another decimal number representing the quantify, calculate the unit price with 2 decimal places rounded half up? Problem was derived from question posted on IBM Mainframe Assembler-List by Ludmila Koganer. Given an input number 1 to x. Given a bit array of x bits where x is multiple of 8. (1) Code a routine to convert the input number into a bit setting in the bit array. (2) Code a routine to display the "one" bits as clrresponding decimal numbers. Submitted by Jim Connelley. Given the source character string DC CL80'LABEL OPCODE PARMS' code a transparent space compression routine to create compressed string and a decompression routine to expand the compressed string back to original. The wining solution will optimize speed and size. P17DW1.MLC/LOG by David Wilkinson compress and decompress using TRT and CRB for total of 628 instructions. P17WR1.MLC/LOG by Werner Rams compresses and decompresses 3 records using CLCL to find end of duplicate spaces for total of 827 instructions. The performance improvement in this case comes from replacing 2 instruction cycles fetching a total of 6 bytes with a single instruction cycle fetching 6 bytes. You can use whatever interval timing method is available on your system such as TIME BIN (requires running standalone). The initial values in R1 must be set to perform enough iterations to reduce the timing error due to interval timer precision etc. To code and unit test solution on z390 you will need the latest version v1.4.01+ with the new z10 opcode support. To run the real test, you will need an IBM z10 mainframe and updated HLASM. P18DSH1.MLC/LOG - solution using new DAT.MLC interval timer display showing time of day JDBC time-stamp format down to nano-seconds, total instruction counts, and MIPS. Running z390 v1.4.01a on Intel 2.1 Duo Core chip, the MIP rates were 8.7 and 7.3 for 15% reduction in MIP rate but there was also an 8% reduction in elapsed time in nano-seconds using the z10 compare and branch loop with BCTR, CIJNE versus the BCTR, LTR, JNZ loop. The 2 instruction loop has lower MIP rate but faster execution time than the 3 instruction loop. Write code to find the last non-blank character in an 80 byte line of text with the fewest instructions. P19WR1.MLC/LOG - by Werner Rams using TRTR executing 28 instructions. Honorable mention also goes to Steve (S.R.K www.mysrk.com/) for email suggesting TRTR before Werner submitted complete program the same day. Write integer random number generator and test program to determine the longest sequence without duplication that it produces for a given seed number. The longest sequence of non-repeating pseudo-random numbers wins. Code a binary search and test it, by searching in turn, for all of the elements in a 20 entry sorted integer array containing the values (1, 3, 7, 9, 13, 18, 19, 20, 25, 27, 30, 31, 32, 40, 41, 45, 47, 50, 65, 80) plus the following values not in the array: 0, 28, and 99. Submitted by David Wilkinson. Code fastest instruction sequence to count bits in an arbitrary string of bytes using currently available z/Architecture instructions prior to new instruction coming with z196 which is estimated to be 5 times faster. P22FS1.MLC/LOG - by Fritz Schneider using 120 byte block loop with MVC, TR, AL, and BXLE for total of 194 instructions for 208 character string. P22GH1.MLC/LOG - by Glen Herrmannsfeldt using loop with LG, SRLG, NGR, AGR, and BXLE for total of 630 instructions for 208 character string. P22MM1.MLC/LOG - by Melvyn Maltz using single TROO followed by loop with MVC, ASI, and BXLE for total of 897 instructions for 208 character string. P22DSH1.MLC/LOG - by Don Higgins using loop with IC, IC, AR, and BXLE for total of 904 instructions for 208 character string. This just proves that pipelining and register versus main memory instruction and data accesses really do matter for maximum performance on machines with caches etc. To submit a new problem for the contest, send a brief description of the problem along with your name and alma mater to ZMFACC Submit Problem. Remember the problem must be solvable using less than 100 problem state mainframe assembler instructions. To submit a solution for a problem attach the program code in an ASCII text file format and send it along with your name and optional alma mater to ZMFACC Submit Solution. All problems must be solvable using 100 or less mainframe problem state instructions. Solutions must be submitted in the form of a single ASCII text type source program file which can be assembled, linked, and executed using the latest version of z390 on Windows or Linux for evaluation by contest judges. Any z/Architecture problem state instruction omissions or bugs should be reported via the z390 RPI Request Form. The 4 best solutions in the opinion of the judges (currently me) will be posted on this contest web page. All solutions submitted will be posted on the contest group email for discussion by the members. Originality and timing count! The first 4 different solutions submitted will be the winners unless different solutions submitted later are deemed by the judges to warrant ranking in the top 4. Unless otherwise states, problem goals in order of importance are execution speed, minimum memory requirements, and best coding practices. RUNSYS=390 - default z390 generates ASCII output on log file via WTO and SNAP. RUNSYS=MVS - generates EBCDIC output on SYSPRINT via WTO and SNAP. RUNSYS=ZOS - generates EBCDIC output on SYSPRINT via WTO and SNAP. RUNSYS=CMS - generates EBCDIC output via WRTERM and LINEDIT. RUNSYS=VSE - generate EBCDIC output via WTO and PDUMP. If the RUNSYS= keyword is not specified on the first ZMFACC macro call, then the target operating system can be specified by externally setting global &SYSPARM value via execution options. For example, using z390 assembler, you can add options "SYSPARM(RUNSYS=MVS)" and SYSMAC(mvs\maclib) to override the default 390 option and generate code for execution on Hercules MVS 3.8 using the MVS 3.8 macro library. Participants should use the ZMFACC macro to assemble, link, and execute solutions in their own environment before submitting them. Submitted solutions should then be portable to all the other environments with the exception of solutions using newer problem state instructions or addressing modes not currently supported in some hardware and software environments. If there is not a customized ZMFACC macro yet for your environment, please download the current ZMFACC macro, customize it to detect and run in your environment, and submit it to ZMFACC Submit Macro along with your name and the target environment it has been tested on for use by other participants. Thanks! This email group is for the use of participants who wish to discuss problems and solutions. All email posted to this group is reviewed by moderators to verify it is related to the contest and is no spam. Send an email to ZMFACC Volunteer with your name and what you would like to volunteer for. Several backup moderators for the email group would be helpful to check for pending posts and keep the mail flowing. A few contest solution judges willing to evaluate the relative merits of submitted solutions would also be helpful. For more on problem #22 go here. P22MM1.MLC/LOG - by Melvyn Maltz using single TROO followed by loop with MVC, ASI, and BXLE for total of 897 instructions for 208 haracter string. New problem #22 Code fastest instruction sequence to count bits in an arbitrary string of bytes using currently available z/Architecture instructions prior to new instruction coming with z196 which is estimated to be 5 times faster. Problem #21 binary search submitted by David Wilkinson. P7EH1.MLC/LOG by John Erhman - has been updated to remove work-around for AW since the latsest z390 PTF v1.4.01f now has support for AW and all the HFP unnormalized floating point instructions. An email quiz question was posted about the most efficient way to test if the left most bit in any mask is on. The solution is to shift the mask 1 bit right and compare it to the selected bits AND'd with mask. If the selected bits are high then the high bit must be on. P19WR1.MLC/LOG - by Werner Rams using TRTR executing 28 instructions. Note honorable mention goes to Steve (S.R.K www.mysrk.com/) for email suggesting TRTR before Werner submitted complete program the same day. New problem #20 - Write integer random number generator and test program to determine the longest sequence without duplication that it produces for a given seed number. The longest sequence of non-repeating pseudo-random numbers wins. Add new problem #19 to find last non-blank character in a line of text with fewest instructions. Correct my error on the number of instructions executed for solution to problem 17 by Werner Rams. The correct number is 827. P17WR1.MLC/LOG by Werner Rams compresses and decompresses 3 records using CLCL to find end of duplicate characters for total of 827 instructions. Add new problem #18 to calculate performance gain using new z10 compare and branch instructions. P11WR1.MLC/LOG by Werner Rams using linked list to handle duplicates requiring approximately only 12 * number of table entries for hash tables. 1876139 total instr. Correct comments on problem #14 solution by Martin Ward. The solution supports up to 31 digits. Add Current Problem Category Index thanks to suggestions from several participants. Add new problem #15 to calculate 15 digit packed decimal rounded to 7 decimal places. Post question about potential usefulness of problem techniques and suggested categories for additional problems. Add new problem #16 to store and fetch numbers from bit array by Jim Connelley. Add new problem #14 to calculate the Ackerman recursive function a(4,1) = 65533. Correct problem #13 statement to clarify total cost is for one or more items and quantify is the total number of items to be divided into total cost to calculate unit price. New problem 13 - Given a decimal number with 2 decimal places representing the total cost of an item and another decimal number representing the quantify, calculate the unit price with 2 decimal places rounded half up? Problem was derived from question posted on IBM Mainframe Assembler-List by Ludmila Koganer. I believe that using Decimal Floating Point may be the most straight forward using the fewest instructions, but may not be the most efficient. New problem #11 - Code hash table add and find routines for fast access by Don Higgins. New problem #12 - Calculate the mean and standard deviation for a set of 500000 response times using a precision of .001. Assume each value may not exceed 1000 seconds- by Tony Matharu. P8LM1.MLC/LOG by Lindy Mayfield - using Rexx model solution series with all positive terms which converges to 33 significant digits in 49 iterations. This solution modified for z390 using CTD library services to display trial values of Pi and the error from known value. This solution also uses inline macros LX and STX to simplify loading and storing extended floating point values. P8MM1.MLC/LOG by Melvyn Maltz - using Gregory/Leibniz/Machin arctan series with alternating signs which converges to 33 significant digits in 7 iterations. This solution modified for z390 using CTD library services to display trail values of Pi and the error from known value. Update ZMFACC macro at 14:00 EST for Chris Langford and Rafa Pereira changes to correct MVS/ZOS SNAP headings and areas to be dumped, and truncate text lines to 72. P4RAFA1.MLC/LOG by Rafa Pereira - quicksort of 20 elements using 1659 instr. Lower case characters cannot be used in labels. Underscore character "_" cannot be used in labels. Labels cannot be more than 8 chars in length, including the prefixing dot if they have one.